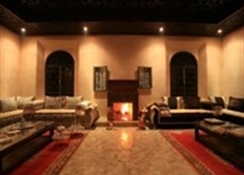 The Al Fassia Aguedal is a hotel with traditional architecture, modern facilities and magnificent views of the Atlas Mountains. Boasting 27 uniquely decorated rooms filled with amenities and different interior styles, this elegant hotel is well suited to a variety of guests. 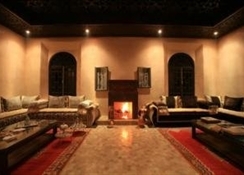 Renowned for its remarkable gastronomy the Al Fassia Aguedalâ€™s restaurant allows guests the chance to Savour regional Moroccan specialities prepared with fresh ingredients, and international wines whilst also offering the best in luxury accommodation provided with a charming, discrete service. 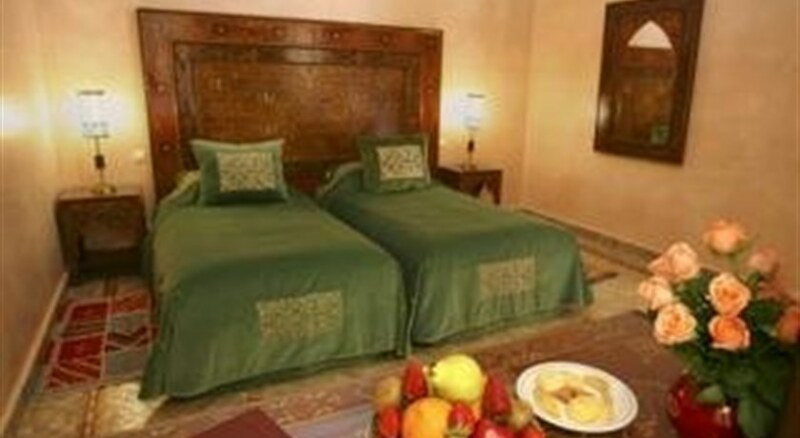 Located just minutes from Cinema Megarama and close to Djemaa el Fna, this hotel is in the ideal location for the discerning tourist seeking peace and tranquillity just outside the city in a private estate surrounded by olive and palm trees. Enjoy a meal in the restaurant or stay in and indulge in the 24-hour room service before heading to the lounge for your favourite drink. Guests can admire in the hotelâ€™s three patios with fountains before or after dinner.Each room features a minibar and plasma TV for relaxation and the double or king-size beds are fitted with cotton sheets and down comforters. Windows open to pool and garden views, high speed internet keeps you connected and satellite programming is available for your entertainment. Each room has a private bathroom with shower and tub as well as telephone, a safe, a desk and air-conditioning.The hotel has an outdoor swimming pool, a sauna, a steam room and spa for guests to unwind with body treatments and facials. Further amenities include 24-hour reception, concierge service, Wi-Fi, childcare, parking, a limo and business services. 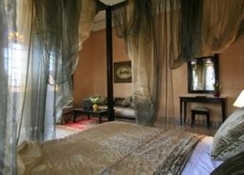 27 individually decorated rooms fitted with a double or king size bed. Each room features a minibar and plasma TV for relaxation and the double or king-size beds are fitted with cotton sheets and down comforters. Windows open to pool and garden views, high speed internet keeps you connected and satellite programming is available for your entertainment. Each room has a private bathroom with shower and tub as well as telephone, a safe, a desk and air-conditioning. Certain amenities may be payable locally. Marrakech is a city split into the old town and the new town, this cultural metropolis boasts a number of cultural attractions and open-air markets filled with live entertainment. At night the city comes alive, offering exotic food, vibrant nightlife and a truly unique atmosphere.